These Juicy pinkberries are the pink fruited version of the well known Blueberry, making a lovely variation to the traditional colour. 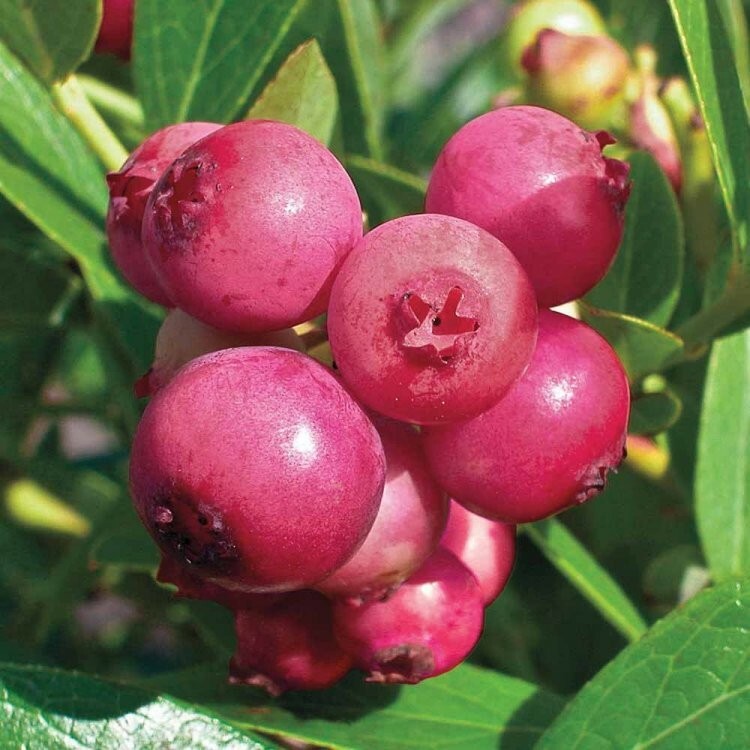 They are not only delicious, but also a renowned source of health giving anti-oxidants. What's more, our pinkberry plants could not be easier to grow, producing crops from July to October. Can you imagine picking your own fresh fruit on your patio or balcony? Our specially selected varieties here have been selected so you can do just that, as they are well suited to growing in patio planters. If you want to plant them in the garden, that's no problem either. These are going to be delicious fresh, in muffins, made into sauces for deserts, in smoothies, with your breakfast muesli or simply as a healthy snack. 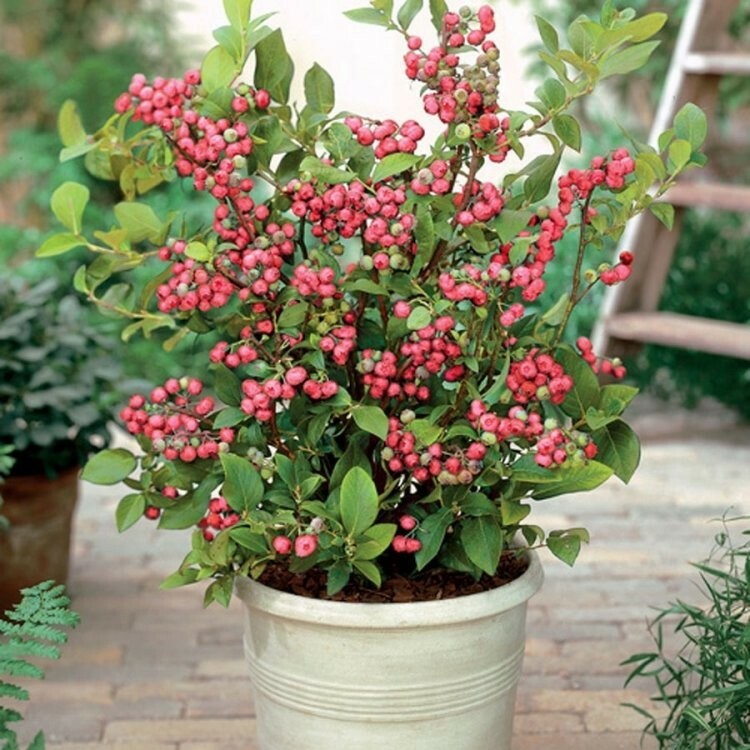 These Pinkberry Plants are perfect for growing in patio containers, because they love the compost and you can give them ideal growing conditions. Pink Lemonade will give you a crop, year after year, from early Summer to early Autumn. Supplied to you as quality bushy plants in their own pots. Plant them as soon as you get them into nice deep patio pots and enjoy your first pinkberry harvest from next summer. Pinkberries are also beautiful in the garden. In spring rusty red leaf tips mature into a strong green canopy. Then clusters of creamy white flowers turn into the juicy pinkberries. Then in Autumn they will provide a lovely bright colour as the foliage turns shades of yellow through orange and red. Pack of three strong bushy plants, each supplied in approx 1 litre containers.